From the Grampians’ rugged mountain peaks to the azure waters around the Bay of Fires, Australia is home to some of the world’s most epic and immersive walking holidays. Winding across the beautiful Margaret River region, between Cape Naturaliste and Cape Leeuwin, this coastal track takes in cliffs, headlands, seascapes and inland forests. For a combination of nature and the region’s famed food and wine scene, Walk Into Luxury offers a guided four-day walking experience with nightly luxury accommodation and a smorgasbord of winery and dining experiences. Here, at one of Australia’s most breathtaking mountainous regions, ancient sandstone formations loom large over fern-filled gorges and spectacular waterfalls. 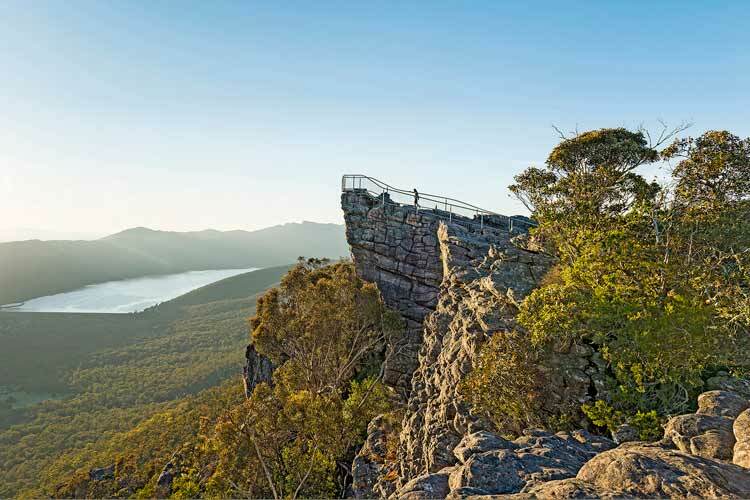 Grampians Personalised Tours & Adventures offers insightful excursions, from guided bushwalks and environmental talks to eco-walks and adventure activities. When the hiking day is done, spend time exploring the surrounding Grampians region, which is bursting with picturesque towns, gastronomic adventures, welcoming cellar doors and arresting local art. 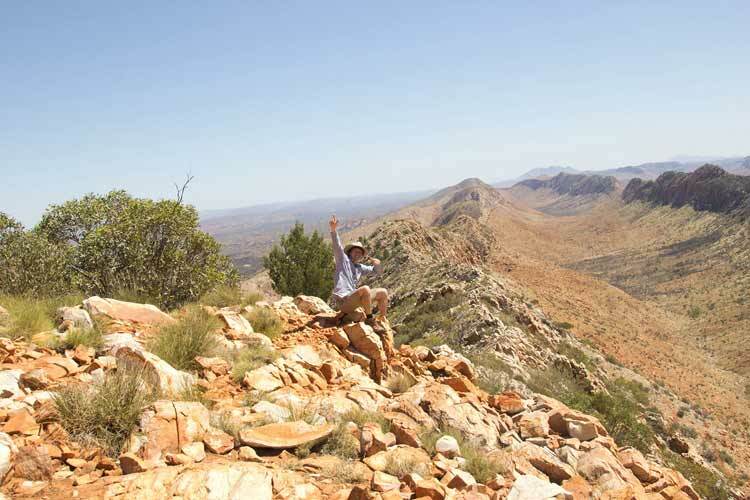 Atop the West MacDonnell Ranges, the legendary Larapinta Trail winds its way across outback ridges for a grand 233 kilometres. Staggering ridge lookouts descend between blazing orange gorges, with plenty of welcome waterholes scattered along the track. Boutique trekking company Trek Larapinta lead small camping groups, starting from three days through to the full 16-day end-to-end trek. Beginning in Alice Springs and winding across the spine of the West MacDonnell Ranges, the trek is famous for its 360-degree panoramas. This historic Blue Mountains track is a three-day journey linking Katoomba and the Jenolan Caves. Originally built as a horse trail in 1884, today there are plenty of overnight camping sites along the way. The 46-kilometre journey offers exceptional stargazing and is thriving with rivers and cascading waterfalls. Sweeping views over the Megalong Valley make for superb photo ops, before crossing the creaking swing bridge over Coxs River. With outstanding accommodation options and plenty to see and do, it wouldn’t hurt to extend your stay at either end. Extending from Cape Jervis on the Fleurieu Peninsula to Parachilna Gorge in the Flinders Ranges, the Heysen Trail winds for 1,200 mesmerising kilometres, taking in wine regions and some of South Australia’s most spectacular scenery. 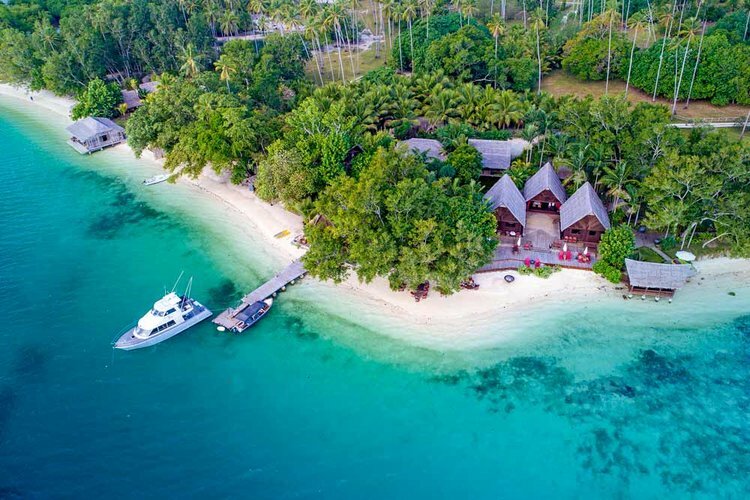 To traverse the entire length would take 60 days, so for a less daunting but equally memorable experience, Trek Tours Australia leads six-day tours with cabin-style accommodation. The Arkaba Walk, meanwhile, is a four-day eco-hiking safari dedicated to educating visitors about conservation. One of the world’s longest walking trails, this scenic walk stretches 1,000 kilometres through karri and tingle forests, coastal heathlands and the awe-inspiring coastline of Western Australia’s south-west. Whether tackling the epic track end-to-end or strolling section by section, the Bibbulmun Track Foundation offers plenty of events and workshops on all manner of bush survival to get you started. Bibbulmun Walking Breaks leads guided half- and full-day or eight- and nine-day tours with nightly stays at bed and breakfasts in rural towns along the way. For those travelling solo, furnished timber campsites, toilets and picnic tables are dotted along the well-maintained track. · Cooloola Wilderness Trail, Qld: Through eucalypt forest and sub-tropical rainforest, you’ll go past sand dunes, volcanic crags and the Noosa ‘River of Mirrors’. • Maria Island Walk, Tas: An award-winning, comfortable walk around a World Heritage island and its pristine beaches. • Wineglass Bay, Freycinet National Park Tas: For its white-sand beaches and azure waters surrounded by lush green forests. • Cliff Top Walking Track, Blue Mountains NSW: For heart-racing views across the Grose Valley, spring wildflowers and waterfalls. • Great Ocean Walk, Vic: Aside from the Twelve Apostles, the wilderness and wildlife of Great Otway National Park are reason enough. • Mount Sorrow Ridge Trail, Daintree Rainforest Qld: A world-class gem for nature-lovers, this track is not for the faint-hearted. 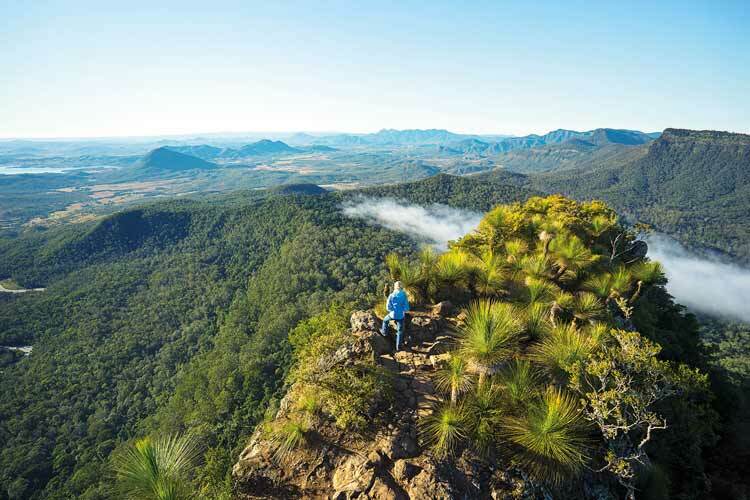 • Gold Coast Hinterland Great Walk, Qld: For three days of wildlife-spotting and sweeping views around Gondwana Rainforest and an ancient volcano. • Kangaroo Island Wilderness Trail, SA: A five-day trek around coastline and cliffs, with terrific wildlife encounters. The thriving regional city of Orange is renowned for its superb produce, its paddock-to-plate approach to dining and its enviable world-class wines. Founded in 2012, HelloFresh Australia now delivers more than two million meals and recipes each month around the country. We chat to founder and CEO Tom Rutledge about the company’s growth.